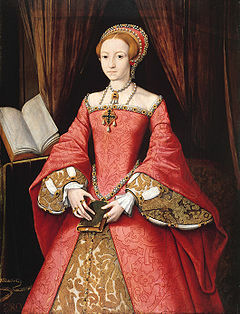 Elizabeth I, daughter of Henry VIII and Anne Boleyn, was a very bright and smart child. Ever since she was a little girl, a lot of attention had been paid to her education. Her first tutor was Katherine Champernowne (who would later marry Sir John Ashley), who was simply called Kat by the little Elizabeth. A well-educated woman, Katherine was appointed governess to Elizabeth in the autumn of 1536 and led the foundation for her education. She taught Elizabeth to read and write, English and grammar. In addition, Elizabeth also learnt the rules of etiquettes, how to behave in polite society, subservience to her father and elders and embroidery, a very popular pastime for women at the time. A precocious girl gifted with excellent memory, Elizabeth had a great grasp of the English language by the time she was five or six. It was now time for her to start studying foreign languages. Kat taught her the rudiments of Latin but pretty soon it became clear that the pupil had learned all her teacher knew and needed other tutors. Luckily, she was allowed to share her brother Edward’s tutors: Jean Belmain, who taught French; Richard Cox, Provost of Eton who taught Greek and Latin, mixed with modern events such as Henry VIII invading France and conquering Bolougne, and was able to turn studying into a game; and John Cheke, regius professor of Greek at St. John’s College and a classic linguist who focused on readings of the Holy Scriptures, Cicero, Aristotle and Plato. Cheke quickly noticed Elizabeth’s precocity and suggested to her step-mother Catherine (Parr), that the young girl should be given a private tutor. The choice fell upon William Grindal, a twenty-something Cambridge student and Ascham’s pupil. 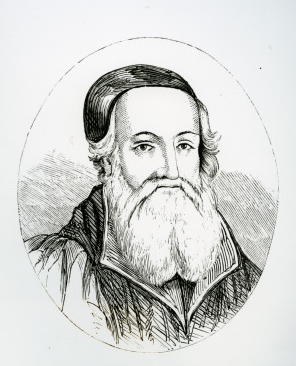 In the mornings, he would teach Elizabeth Greek, focusing on readings of the New Testament and Greek classics. The afternoons were dedicated to Latin, with particular emphasis on the works of Cicero and Livius. She also studied theology, philosophy, maths, geometry, history and literature. She was particularly good at foreign languages and by the time she was eleven she was fluent in Greek, Latin, Italian, French and English (of course!). 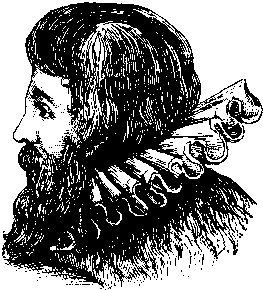 In 1548, Grindal died and was replaced by Roger Ascham, a Yorkshireman who studied at Cambridge. Asham loved reading and discussing the old Greek and Roman classics with his bright students. Asham followed the daily routine set by Grindal, choosing texts that “best adapted to supply her tongue with the purest diction, her mind with the most excellent precepts, and her exalted station with a defense against the utmost power of fortune”*. He focused mainly on Cicero, Livio, Sophocles, Demosthenes, St. Cipriani and the Greek New Testament. Apart from academic studies, Elizabeth was also taught all those arts befitting a lady of high rank and status, including embroidery, sewing, dancing and music. In addition, she also learned how to ride, hunt and even practiced archery. Overall, Elizabeth was a very bright and clever student who loved to learn new things. This, coupled with the excellent education she received, really helped her, once she was crowned Queen, to become a successful ruler.